Pauline Kael: one of film’s worst and most ridiculous critics. Those who follow film will inevitably come across Pauline Kael’s critical writing, since she has — for good or ill — been an influential ‘voice’ (I use this term loosely) in film crit, helping to not only shape abysmal, only-in-it-for-the-controversy poseurs such as Armond White (just check out his fey, insecure manner in this pointless interview), but film-goers, as well, who suddenly had intellectual back-up for their personal like or dislike of now-classic films. She’s trashed Stanley Kubrick, she’s trashed Ingmar Bergman, she’s trashed Federico Fellini, Terrence Malick, John Cassavetes, Michelangelo Antonioni — not out of any real, logical argument, but just ’cause she wanted to, and was able to get away with such. And, predictably, fans of these directors have, not been very happy, but communicated their anger merely by throwing up their hands, or cutting Pauline Kael down a well-placed insult. Sure, she deserves all this (and more! ), but just as with the Internet rants directed towards Jonathan Rosenbaum, there’s been few systematic dissections of her work, wherein the reasons for her poorness as a critic are made clear, film by film, and line by line, which is really what her work calls for. Anger is good, at times, but it needs a real, substantive foundation for it to matter, or else it’ll first be interpreted as having no justification, and then merely dissipate. In the arts, however, things absolutely need a nudge in the right direction, and it is argument (despite what’s commonly thought) that helps clarify and polish up the best art, all the while killing off the worst. For this reason, I wrote a lengthy take-down of Pauline Kael vis-a-vis the work of one film director, so that, in reading her reviews thematically, as well as side-by-side, one sees her flaws quite well, and can therefore extrapolate them to the rest of her work. The following essay is an excerpt from my book, Woody Allen: Reel To Real. The chapter to which it belongs can be read here. Today marks the release of Woody Allen: Reel To Real, which is, as of this writing, the most comprehensive book on Woody Allen ever published. Poet and critic Dan Schneider, of Cosmoetica fame, has called it a “seminal” and “revolutionary” book, a book that ought to change the way people talk and think about film. I hope that you’ll agree, if not with some of my interpretations, then at least with the tools Reel To Real provides — tools that can be applied to the art world as a whole, for greatness (as Schneider has argued) is its own company, and what works or fails in one place can be extrapolated into another, from film to film, art-work to art-work, and to the kinds of stories people like to tell. 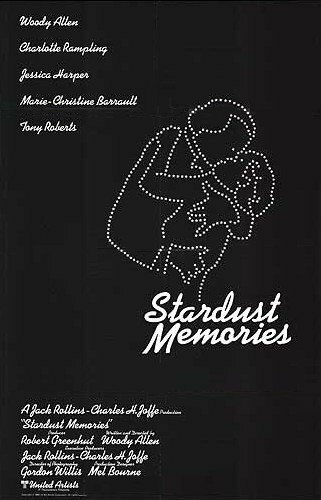 In short, the book covers every movie that Woody Allen has ever written, directed, or otherwise acted in, with preference given to the material from Annie Hall onward, and especially to neglected masterpieces such as Stardust Memories, Interiors, and Another Woman. Thus, I take a film-first approach, with detailed analyses and 100s of references spread across ~160,000 words on art-centered writing. Yet the book also features a dialogue between the writer and reader, a huge chapter dissecting 6 major critics of Woody Allen (read it here, in full), a fiery exchange between me and Jonathan Rosenbaum, perpetual updates to the e-book via a ‘sync’ system whenever a new Woody film is released, and a final chapter wherein — after much praise, from me! — I finally take Woody Allen to task on his influences, opinions, and general philosophy. In short, no one gets off easy, because, just as Judah is told in Crimes And Misdemeanors, ‘the truth will out.’ Except, in this case, it’s not mere naïveté, and I’ve got the hammer. Anyway, to celebrate the release of Woody Allen: Reel To Real, I’ve decided to compile a list of Woody Allen’s top 10 films, and explain my reasons in depth. Note that while there are some films, below, that can legitimately be knocked up or down a few spots, they all have at least SOME claim to artistic greatness, if not being indisputably so. So, despite Jonathan Rosenbaum’s claims, to me, a 40-minute fluff-piece like Oedipus Wrecks simply does not belong here. And, conversely — and critical negligence aside! — a well-written, well-filmed, and well-scored opus like Another Woman does. And now that at least some of my reasoning is clear, let us begin with the list proper! Review Of Mathieu Kassovitz’s “La Haine” And Stephen Verona’s “Lord’s Of Flatbush”: Which Losers Will Prevail?! Having just re-watched Stephen Verona’s The Lord’s Of Flatbush, I was shocked by two things. First, it’s simply an excellent little film. I was able to pick up on many details that eluded me when I was younger, which probably means that I’ve grown as a critic and artist. Second, it has garnered pretty average reviews, and although it deals with a similar problem – a few losers trying to grow out of adversity – it is vastly superior to Matthieu Kassovitz’s La Haine (The Hate), which suffers for being precisely what Lord’s isn’t: didactic, heavy-handed, and unable to balance the film’s anomie with good narrative. La Haine simply goes on and on through pointless scenes and dull conversations where Lord’s makes this palatable by giving its characters depth, irony, and poesy – even if they themselves are too dumb and immature to see it. They get in, get out, and linger only to deepen things within their purpose. After all, a good director does not simply drop characters into a fictive world only to record every boring detail, like the endless string of corny jokes in Haine, or the all-alighting prose of a Toni Morrison. There needs to be a filter that guides whatever’s interesting and deep TO the screen, and only then can the viewer’s imagination truly play off of it. Thus, in Lord’s, it’s really a matter of economy, where Verona truly shines. Give the mind a few strong images, seeds, and threads, and watch them grow to peaks the director only hints at, which only seems to deepen the visual experience the longer you are away from it. La Haine doesn’t trust the viewer enough to be able to do this, and by trying to explain every cliché it throws at you, becomes its own worst explanation. This joke introduces American Radical, a documentary by David Ridgen and Nicolas Rossier, and in many ways defines both the film and the man within. It is pitch-black, and one only hears Finkelstein, who eventually fades in, inflecting and de-emphasizing select words, offering the right pauses, then ending it all on a smirk. It is not an arrogant smirk, nor is it a happy one. Rather, it is melancholy. Bitter. For a man whose work – despite claims – is so rational and un-emotive, this is one of the few places where emotion has an outlet. Bergman once said: “I could always live in my art, but never in my life.” By contrast, Finkelstein lives in his work – plodding, mechanic, in the best sense of such words – and bleeds in his life. Prior to going any further, I must write that I’m slightly acquainted with the subject of this documentary. I’ve met Norman Finkelstein on a few occasions, had an e-mail correspondence, and even spent a few hours at his apartment, having grown up in the same neighborhood (albeit forty years apart). I am both an admirer of his work, as well as intrigued – for better or worse – by the man, himself, as it is his plight, rather than his accomplishments, which might interest future generations when the Israel-Palestine Conflict is merely yet another name, another time, like so many others that have come and go, and will continue to do so for as long as we’re recognizably human.